New Delhi:By anointing the mercurial leader and BJP national president Amit Shah as the party candidate for the prestigious Gandhinagar parliamentary seat, the saffron outfit and perhaps even the RSS on Thursday gave a clear message to veteran LK Advani that it is time for forced retirement finally. It is ironical that it was Mr Advani, the 'Loh Purush' - who had co-founded the BJP along with the illustrious colleague Late Atal Bihari Vajpayee, has been denied a party ticket. For someone who had joined the RSS at the age of 15 in undivided India, the 21st of March 2019 has come as a day full of paradox. The missive from the Narendra Modi-Amit Shah duo and also the RSS leadership in Nagpur is clear - that his time in the party and also in electoral politics - if not in Indian Parliament - is over. It is also like the proverbial coming back of the hands of the clock. The 91-year-old old warhorse had faced similar fate on June 9, 2013 when the Sanghparivar and the saffron party had given the nod to name Narendra Modi - Advani's onetime protege as the BJP's campaign committee chairman. Mr Advani has been winning Gandhinagar seat since 1998. Mr Advani creditably nurtured the second generation of party leaders - the likes of Modi himself and also Pramod Mahajan and Sushma Swaraj. It was through his sheer leadership punctuated with the branding of Hindutva and the exploits of the Ram Temple movement that the party could form a government at the centre which once had just two lawmakers in the Lok Sabha. Ironically, he missed the first 13-day government of Vajpayee. In 1998, he was in the cabinet. It was Mr Advani as the the Deputy Prime Minister under Atal Bihari Vajpayee - he had defended Mr Modi more than once for the 2002 anti-Muslim mayhem. Known as a hard task master and with a hardliner Hindutva leader personality, Mr Advani also proved his political flexibility when during the alliance between the Left, BJP and the National Front - he had safe guarded well the BJP's distinct identity. The onetime BJP 'mascot' used to regularly dine with CPI-M satrap Harkishen Singh Surjeet and the then Prime Minister V P Singh - along with the likes of Madhu Dandavate and George Fernandes to discuss government policies and strategies. But the BJP's basic constituency vis-a-vis three controversial commitments - Article 370 for Kashmir, Uniform Civil Code and Ram Temple remained paramount in his mind. It may not be appreciated by the new generation leaders, but it certainly goes to the credit of L K Advani that the BJP did not quite give up those three contentious issues at any point of time. In the later stages into power after 1999 - the BJP did make a climbdown often and go into occasional compromises. Then came building the alliance and Mr Advani cemented a strong partnership with parties like the Shiv Sena, TDP, AGP, Akali Dal and the rest. Even National Conference was part of the NDA-I. It may be mentioned under Vajpayee, he became the Home Minister of the country - the tenure by no standards was extra ordinary but Mr Advani's imprint on the running of the NDA-I regime was impeccable. It goes without saying that the former Deputy Prime Minister did make a big difference to Indian politics. If history of Indian politics around 1990s is written ? 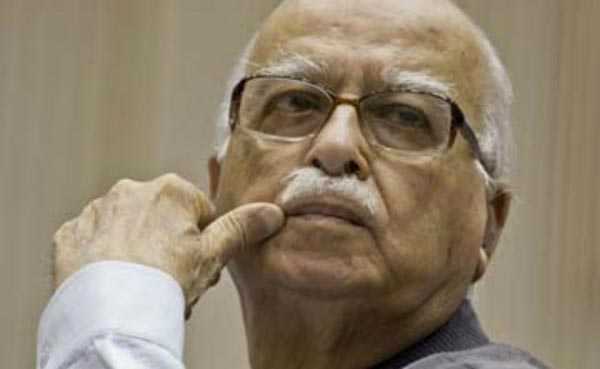 the veteran Advani would always be remembered for bringing about major transitions. "What BJP is today, is due to the immense organizational ability of Advani. It is rather unfortunate that he had virtually vanished from the main political arena," said a BJP leader in moist eyes as news of Amit Shah becoming new BJP face from Gandhinagar went viral on television. The opposition Congress took a dig at Mr Modi. ''First, Mr Lal Krishna Advani was forcibly send to the 'Marg Darshak Mandal', Now even his Lok Sabha seat was taken away from him". In June 2013 when in Goa conclave, the BJP made Narendra Modi the saffron party's chairman of election committee ? a prelude to BJP's PM-candidate ? it was almost a ?forced retirement? for the 'Loh purush'. The book 'Ayodhya: Battle for Peace' published in 2011 sums up succinctly, - "It goes without saying that Ayodhya movement and L K Advani's name would go synonymous with each other".